Hi Something Turquoise readers, it’s Lauren, from Undeclared Panache, back again with another fabulous “Steal this Style” post. 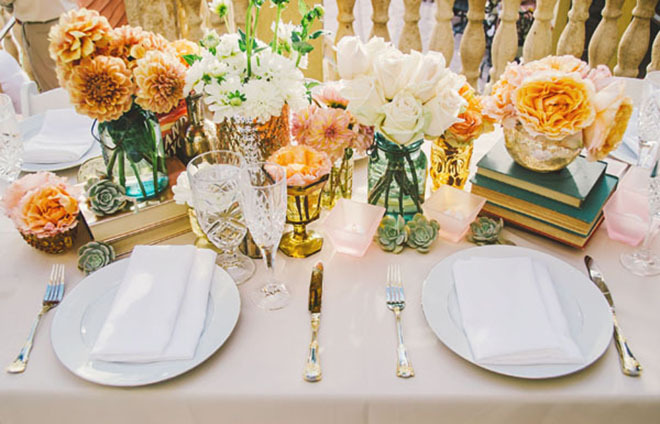 Today, I am showing you how to recreate a glittery sweetheart table, part of this beautiful, feminine wedding found on Ruffled. I hail from Michigan, where the head table seems to be the norm at weddings, so the concept of the sweetheart table is fairly new to me. The thought of having an intimate dining experience with your new husband, among all your friends and family is really quite awesome. 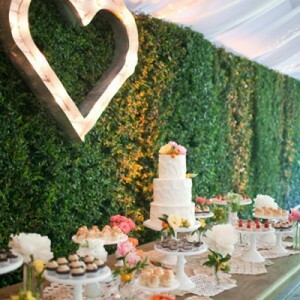 And beyond that, from a decor perspective, I love the sweetheart table. Because it’s a much smaller table, you can really make a statement with not very much and, this is an area that’s sure to be photographed over and over again. 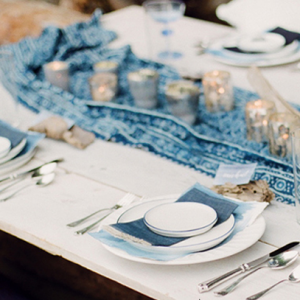 To recreate this look you’ll need to start with a few beautifully curated vases and compotes. I searched “vintage glass compote” on Etsy to find the blue and amethyst stunners below. You can find mercury glass all over, but as a simple cost-saving alternative, you could also find cheap vases and make your own by following this tutorial. 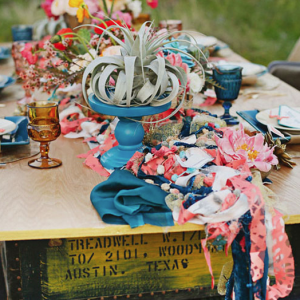 Those statement pieces combined with some simple flowers and the sequin tablecloth will be all the “wow” you need. 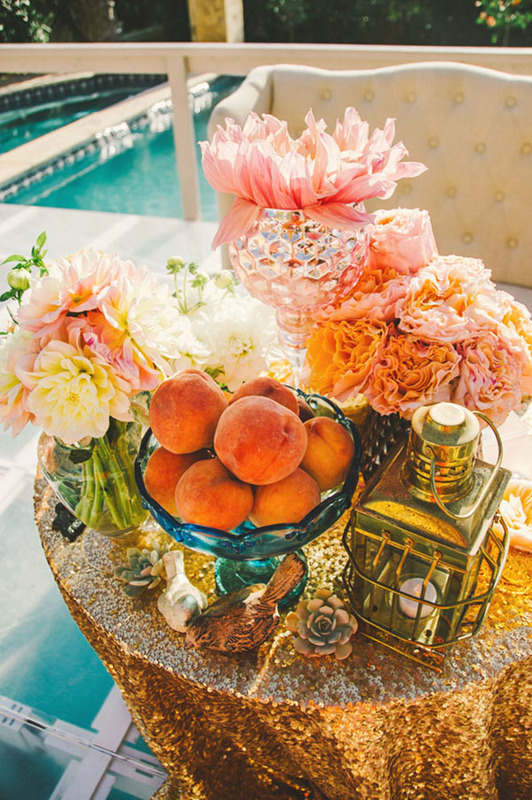 The thing I love most about this specific table is that the punch doesn’t come from fancy place settings, it comes from the statement sequin tablecloth, and it also doesn’t come from the flowers, though very beautiful, it comes from the special vessels they are displayed in. This bride and groom went the extra step of renting a wing-backed love-seat to complement finish the look.